A couple of years ago, I knew absolutely nothing about coding and now I build websites as part of my job. It’s absolutely maddening! I think a lot of people are put off by the fact that it looks like a load of gibberish but, I promise you, with a bit of know-how and practice you can come to understand code really, really quickly. In this post, I’m going to outline some of the Blogger basics - the platform, not the people! - but I could quite happily sit here and teach you how to code all day long. So please let me know if you found this helpful/if you’d like to learn something a little more complex. The “p” stands for paragraph. It’s what Blogger is creating for me right now as I press the return key. However, the beginning of a paragraph is coded for like this <p>. I then follow this with whatever I want to say in that particular paragraph. For example “Isn’t this great!” and, instead of pressing the return key to let the code know I’m finished, end with a slash, like this </p>. As “p” simply stands for paragraph you can use the same structure with pretty much any HTML I’m going to teach you in this first post. All you then have to do is change what’s inside the < >. For example <b>I’m bold</b> makes anything inside the < > bold. If you want to practice this on Blogger, click to compose a post and look for the “HTML” button on the top of the toolbar and HTML has to be entered in a different place to your rich text, or post content. 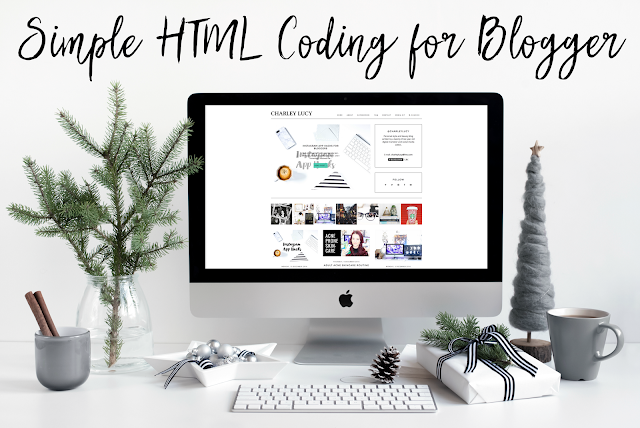 If you’ve ever copied and pasted a Bloglovin’ widget code - this is the right place! Similarly, you can create different sized headings using the same method. With H1 being the biggest and H4 the smallest - really, you can keep on going, but no one is really likely to include so many subheadings in a blog post! Depending on your blog’s template, you are likely to already have a H1 on your page - your blog name or post title - and, using more than one, tends to make the Google robots a little confused. So it’s probably best to sticking to H2, H3, H4 etc. Please note that the standard blogger “subheading” present - what I’ve used to highlight the subheadings in this post - is H3. You style these headings - the font, size, weight etc. - using something called CSS. it’s inbuilt in each and every blogger template to make things look pretty. And is, more often than not, the cause of many of my work-related headaches. Let me know if you’d like to learn about it in a future blog post! To finish off the boring stuff, text alignment within your post is created using much the same method. Though, it is important to note that the spelling of centre is center when it comes to coding. Those darn Americans. High five if you’re following so far! It’s pretty easy, right? And you though you wouldn’t be able to do this! Let’s get onto something a little more fancy to finish the post. All images you upload to Blogger are stored on a server somewhere and each and every one has their own URL - just like a web page. Most likely ending in .jpg .jpeg .png etc. depending on the file format. It’s these URLs we need in order to embed the image into the post. 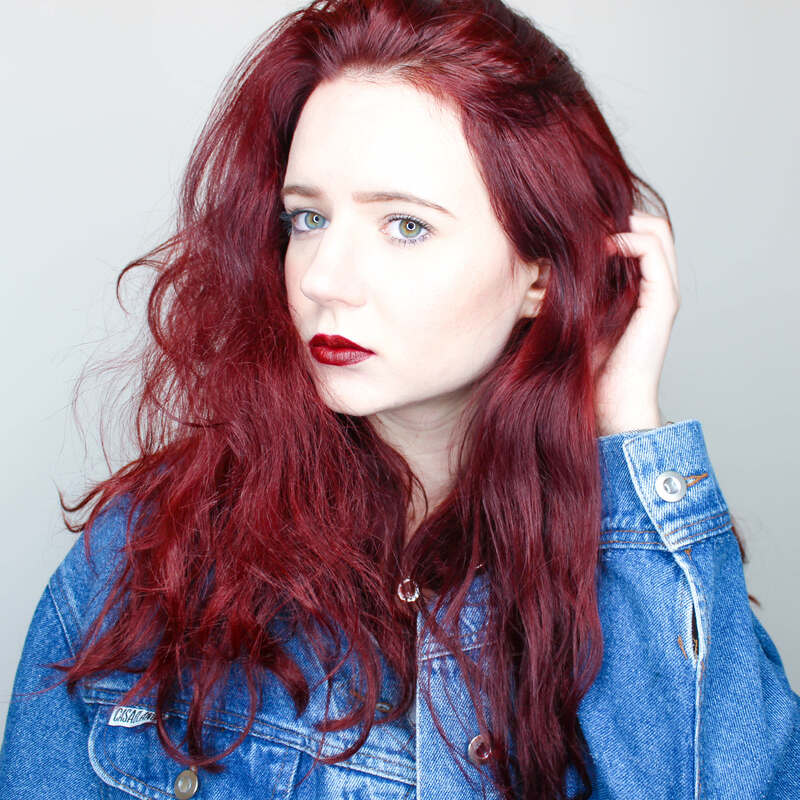 You can usually find these by right clicking on the original image - not a preview or thumbnail - and selecting “Copy image URL” which should look a little something like: http://www.charleylucy.com/amazing-cat-image.gif - unfortunately this is purely for demonstrative purposes. You will need to use the original link for this and not a shortened version. Got it? Good. Now, if you’ve made it this far through the post, you’ll probably be thinking images are coded for like <image>URL</image>. Unfortunately not. Instead of closing like this: </image> images use "img" and self closing tag like this: <img />. Or use the both of them together! Just be careful not to blow out the proportions of your original image. If your blogging platform doesn’t do this automatically - like the Small, Medium, Large and X Large function in blogger - you can manually calculate the new width and height using an online ratio calculator *shudder, maths*. I hope you enjoyed this really quick HTML crash course for Blogger. It was an incredibly fun to write and I hope it helps you either learn a little more or fix a few of those niggly little sidebar errors you might have - we’ve all got to learn somewhere! Let me know if and what you would like to see in the next instalment of this series in the comments below. To read more posts in my #BloggingHacks series, click here.